In Production: OR 7-The Journey! With the Deschutes River raging outside the café window, I sit with Bend, Oregon documentary filmmaker and video journalist, Clemens Schenk, discussing a project that is very close to his heart. Clemens is embarking on the creation of a feature length movie, currently titled OR 7-The Journey. This film will follow the tracks of Journey, the grey wolf that dispersed from his homeland in Northeast Oregon over a year ago to travel some 2,000 miles to become the first wild wolf in California for nearly a hundred years. Journey is still roaming California, currently in Tehama County, and Clemens tells me his goal is to capture the elusive wolf on film, even if this means pitching a tent in the wilderness for a month. Clemens will have an advantage in this territory, as he has lived in Northern California and spent many hours traversing the countryside. A bit of a journeyer himself, Clemens grew up in Germany and attended the Brueggeman School of Art, earning a BA in Commercial Art with a focus on film and graphic design. He came to the states at age 22 and ended up in California. Then, opportunity led him to the jungles of Costa Rica where he worked on a series of documentaries, including one on the Mono Titi (the Central American Squirrel Monkey), one on the Bribri and Cabecar Indians of Costa Rica, and another on the contamination of the Tarcoles River and the resultant impact on the American crocodile. Wolves hold a special place in Clemens’ heart. 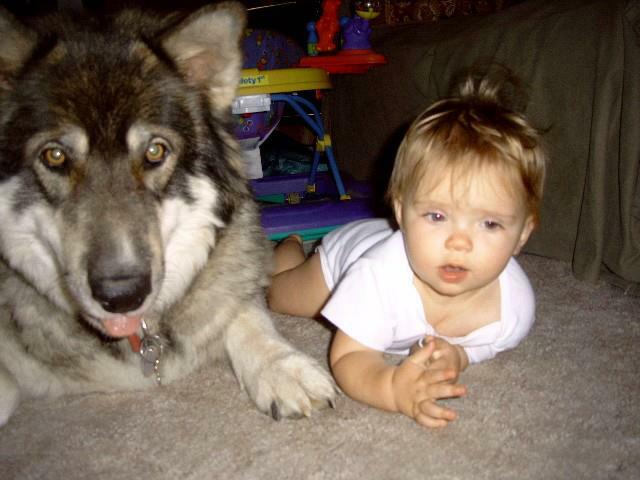 He recently owned a lovely wolf-hybrid named Akiah. 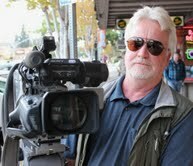 And while serving as chief photographer and video journalist for KTVZ, a television station in Bend, he worked on several news stories on the travels of OR 7. After leaving the station last year, Clemens made the decision to pursue the documentary on Journey, a project he is clearly passionate about. Filming begins next week with an interview with Rob Klavins of Oregon Wild. Russ Morgan, wolf coordinator for Oregon Department of Fish and Wildlife, has agreed to speak with Clemens as well. The film crew hopes to be in Northeast Oregon in March, with the goal of catching sight of the Imnaha pack, Journey’s parents and siblings. Footage will also be shot at crucial landmarks along Journey’s route, including Crater Lake, where he spent two months last winter. Eventually, the film crew will travel to OR 7’s current territory in California. I’m happy to report that I’ve been invited to participate in this project, doing some writing and research and in general hanging around, trying to stay out of the way. I’ve always wanted to take part in a film and I can’t think of a better one to be involved with. Clemens intends to create an educational movie that sticks to the facts about OR 7 and his monumental travels. We both agree that by presenting the facts, reality is invariably revealed. Wolves, Journey included, have the right to tread upon on this earth, to have safe places where they can live without the destruction humankind tends to invoke upon them. And with the recent tragic news that 1,000 wolves have now been legally slaughtered in the western states since their removal from the Endangered Species list in 2011, this is prime time to create a film that portrays wolves as they are, a species unfairly maligned by mythology and irrational fears, one that has much to contribute to the environment, as well as to us, if we would only let them be. Please like the Facebook page for the project and watch for the upcoming blog Clemens will develop to provide fans with tidbits of movie lore and updates on the film. Hopefully, one update will be that Journey himself has made an appearance for the movie, even a cameo. After all, he is the star of the show! This entry was posted in Oregon 7, Oregon Wild, Uncategorized, Wolves, Wolves in Oregon and tagged California Department Fish and Game, Clemens Schenk, grey wolf, Journey, OR 7, Oregon Wild, Rob Klavins. Bookmark the permalink. We have been following The Journey of OR-7 on Facebook and will be following here on WordPress too. This film will raise public awareness of the need to protect our wildlife in their natural habitat. It will also influence empathy and compassion among those who are currently unaware, uneducated or indifferent. You have our support. Blessings on those who from a place of empathy and compassion take action to protect and lend voice to living beings who cannot speak for themselves. Beckie this is indeed exciting news! It is certainly time, way past time, that the hysteria, myths, and down right lies about the wolf is brought to light.I am so happy that you will be a part of this project in documenting the story of this wolf that has captured the hearts of so many people world wide. How exciting. What a great project to be involved in. Looking forward to seeing the outcome. Hi Beckie, what a wonderful piece you have written about Clemens’ plans to capture OR7’s life on film. However, I have just learned of the plans to hold a coyote hunt this weekend (Feb.8th) in OR7’s territory. 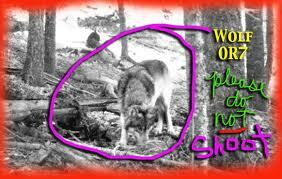 Is this a indirect attempt to assassinate the only wolf in California? I guess killing 1,000 wolves in the rest orf the U.S. isn’t enough! This is disgusting, to say the least. I hope OR 7 survives long enough to have this documentary made.